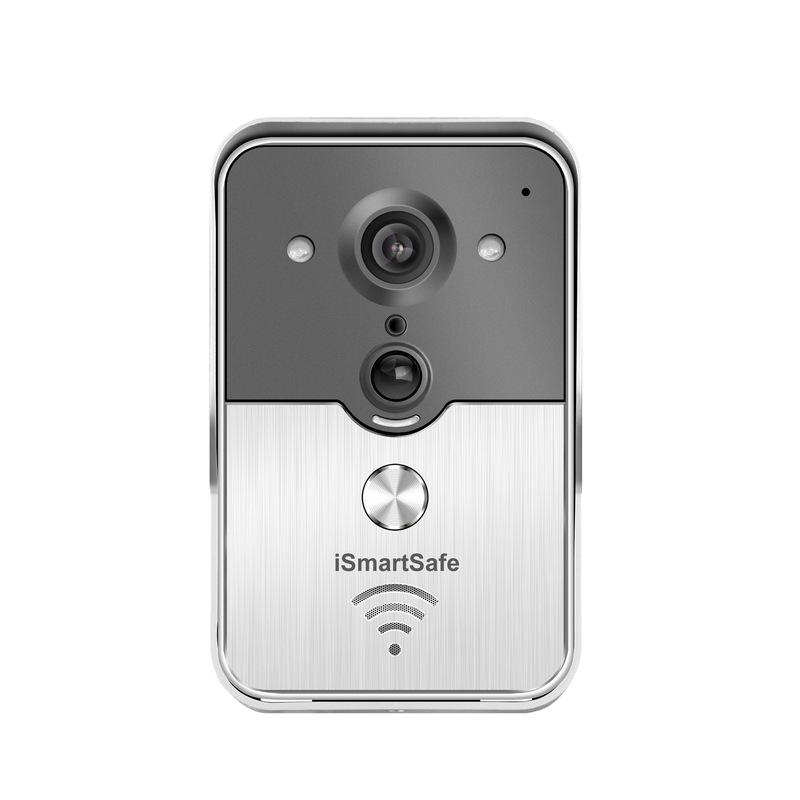 iSmartSafe gives you the control, convenience, and safety you’ve never had before. 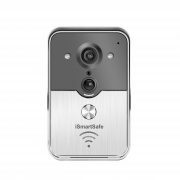 Whenever you’re home or away, you always know who’s at your door with the iSmartSafe HD Wi-Fi Video Doorbell. iSmartSafe video doorbell is a waterproof smart doorbell camera, and can be connected throught Wi-Fi. 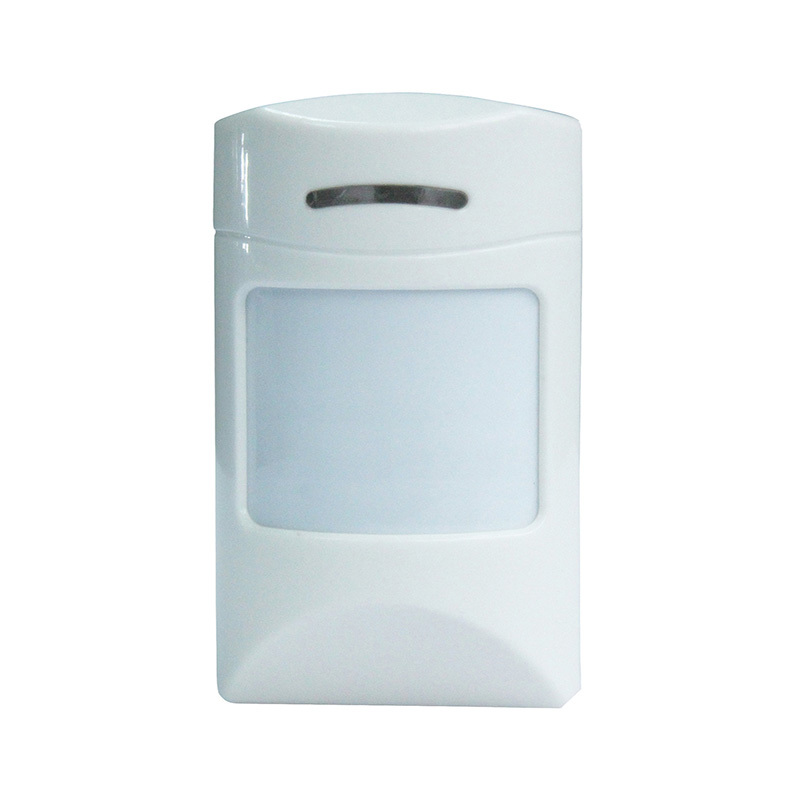 It offers HD (720p) resolution, visitor notification, live view, motion detection alert, night vision, Email snapshot when doorbell rings or alarming, Auto video recording when doorbell rings or alarming, and so on. Feel more safe and secure with iSmarSafe. Keep an eye on your home or office wherever you are. 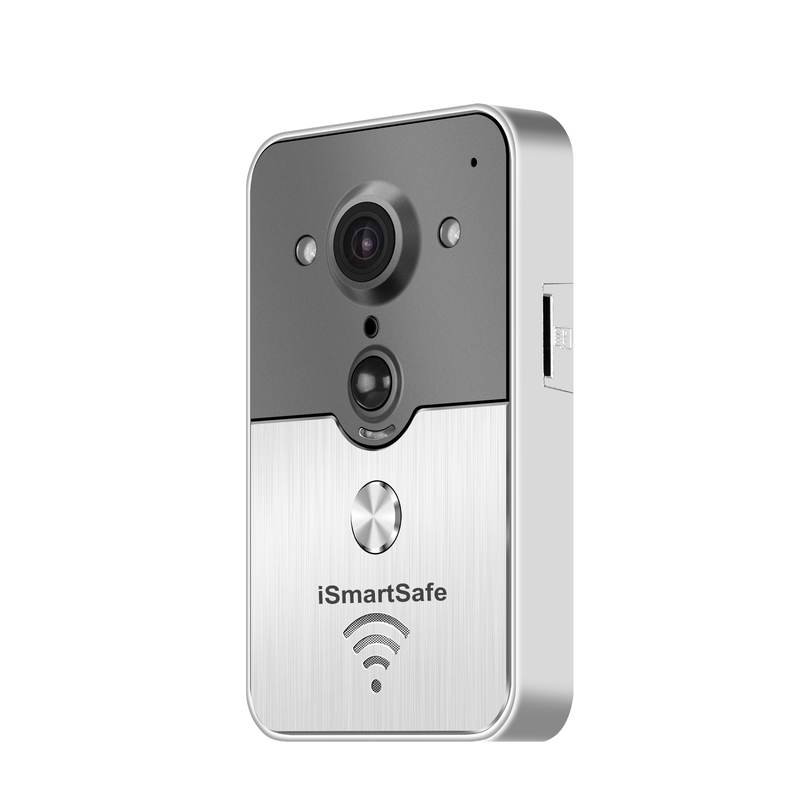 Never miss a visitor or stranger with iSmartSafe video doorbell. All of our products are professional grade, high quality, tested, and reliable. 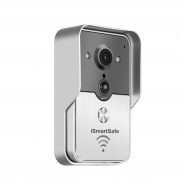 iSmartSafe video doorbells are fitted with Night Vision, Motion Detection, Instant Alert, High Definition resolution, and can be accessed anytime. Whenever you want to know who is in your front door, Or you just want to know if your home is secure. 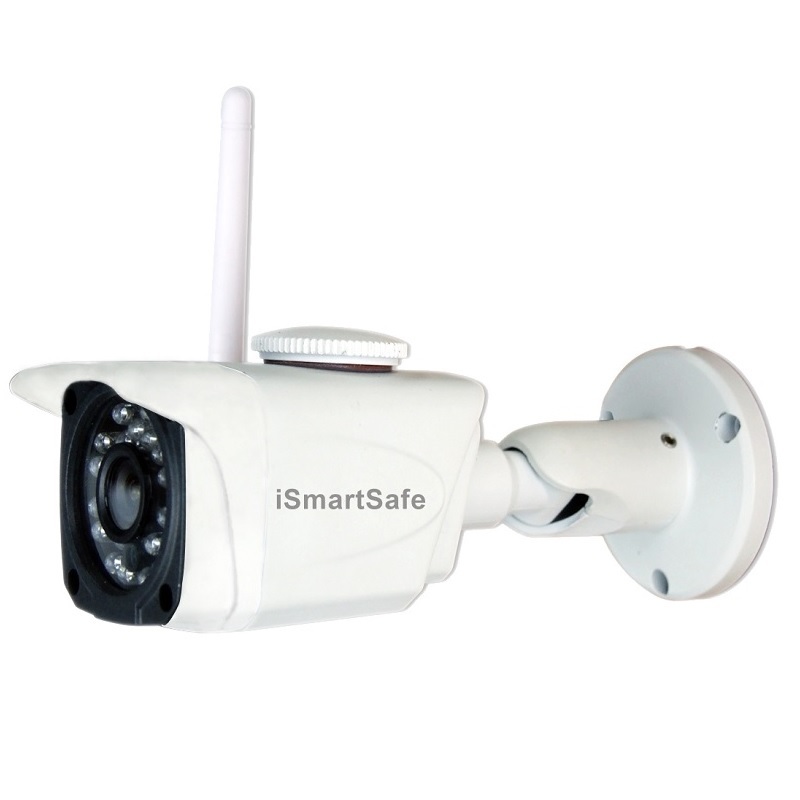 iSmartSafe video camera is the perfect way to keep an eye on what matters most. 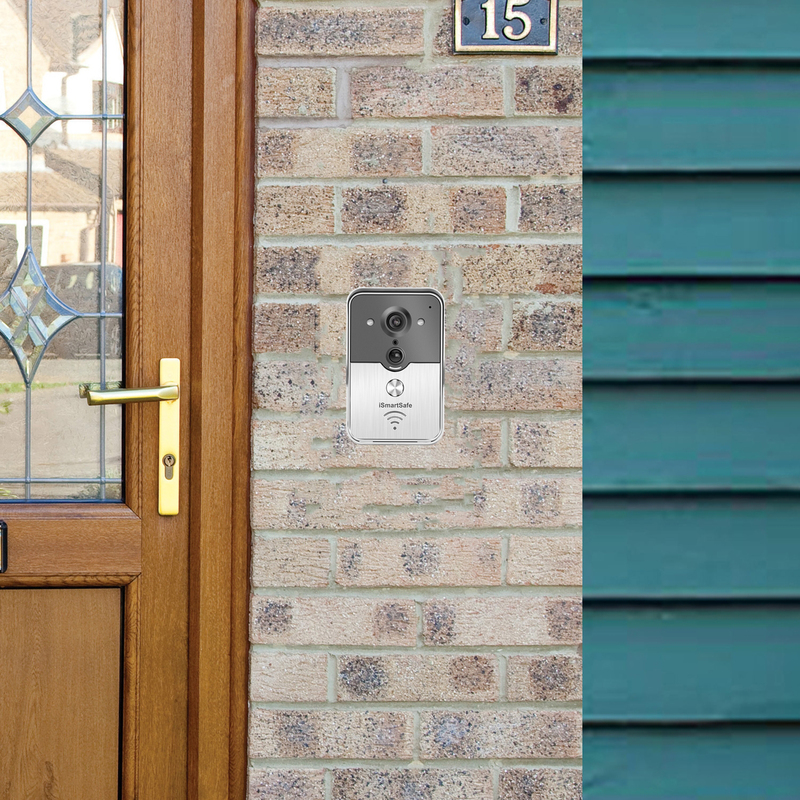 You can view your video doorbell from your mobile device anytime from anywhere in the world, giving you peace of mind. 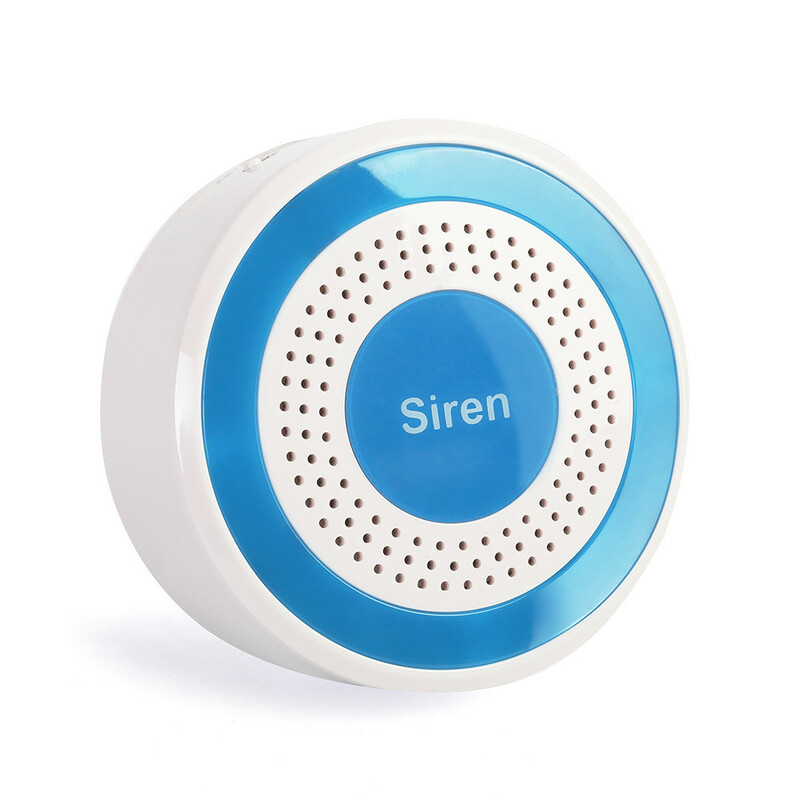 The analysis suggests that burglars ring your doorbell to find out if you’re home or away. 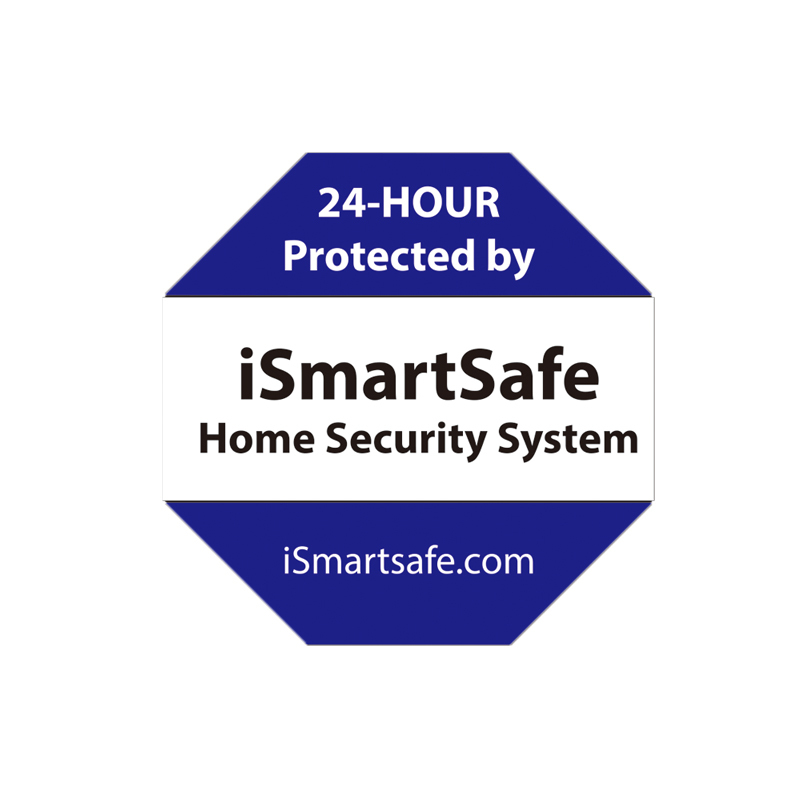 iSmartSafe has already helped customers prevent break-ins before they happen, keep their homes and families safe. 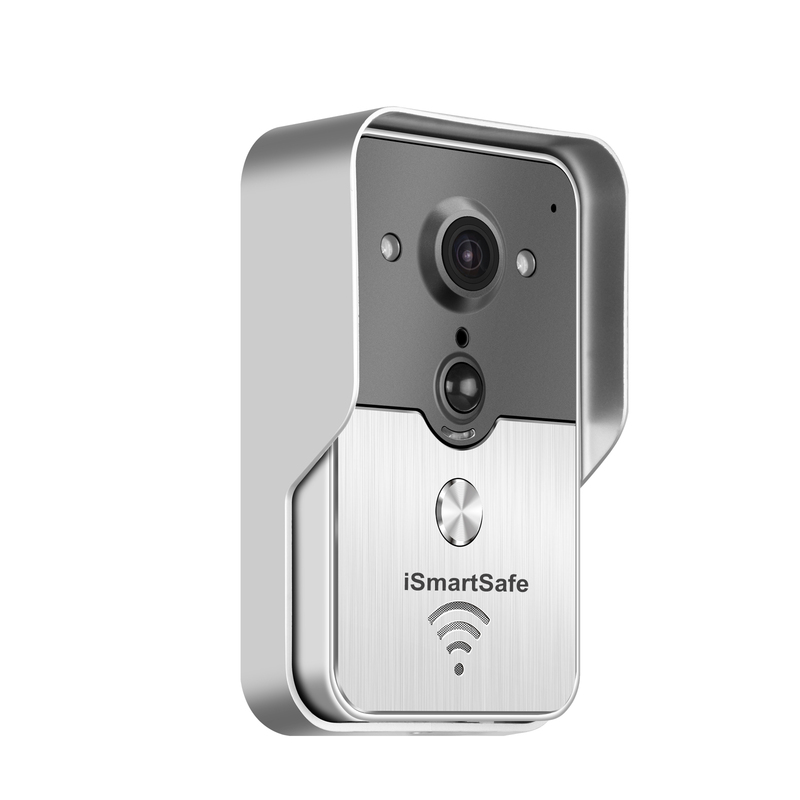 Swap your old doorbell for an iSmartSafe Vidoe Doorbell, and enjoy a higher level of safety and security with remote monitoring and recording features. (4) 3.5″ x 3.5″ high quality window/Door Stickers, iSmartSafe home security alarm window/door stickers use waterproof and UV resistant inks.